Pianist David Riley has received rave reviews throughout the U.S. and Canada, including “Absolutely exquisite technique” (New York Concert Review), “A soloist’s dream, star quality, gifted and sensitive …” (Billings Gazette), “a superb collaborator” (Strad Magazine). He has extensive experience as a professional recitalist, frequently performing at many of North America’s most prestigious venues such as Merkin Hall with the New York Philharmonic Chamber Players, Bargemusic in NYC, the National Art Gallery in Washington D.C. on multiple occasions, Carnegie Hall, the Dame Myra Hess Series in Chicago, the Gardner Museum in Boston, the Phillips Collection in Washington D.C., the 92nd St. Y in New York City, Bellas Artes in San Juan P.R., the Ottawa Chamber Music Festival, and Salle de Concert Pollack in Montreal, among others. In 2009 he performed at the Kammermusikfest Kloster Kamp in Linfort, Germany with principal string players from throughout Europe (Frankfurt Opera Concertmaster, NDR Symphony Orchestra Principal Cello (Hamburg), etc.) chamber music concerts at the Oregon Bach Festival (including legendary baritone Thomas Quasthoff), Lake Tahoe with Kronos Quartet cellist Jeffrey Zeigler, and was a guest artist at Stanford University as a member of the new music ensemble Beta Collide. 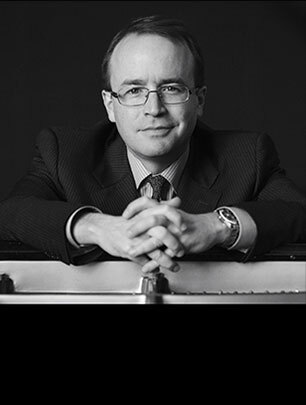 Dr. Riley has been featured on dozens of radio broadcasts including BBC Radio with renowned pianist Jeffrey Kahane (Mendelssohn 4-hands), NPR Performance Today & Morning Edition, CBC National Radio, and WQXR and WNYC in New York City. Recent awards include the 2008 Canadian Independent Music Awards ‘Favourite Classical CD’ and ‘Best Music’ at the 2007 Silver Wave Film Festival for performances of Beethoven, Ives, and Kroll on CBC Television. Along with violinist Jasper Wood, he received the 2004 East Coast Music Award ‘Best Classical Recording’ for a CD of works for violin and piano of Igor Stravinsky. Other violinists with whom Mr. Riley has concertized include Juyoung Baek, Jennifer Frautschi, Ilya Gringolts, Phillipe Quint, and Giora Schmidt, along with cellists Denise Djokic and Jesus Morales, and clarinetists Carey Bell, Alex Fiterstein, and Ricardo Morales. 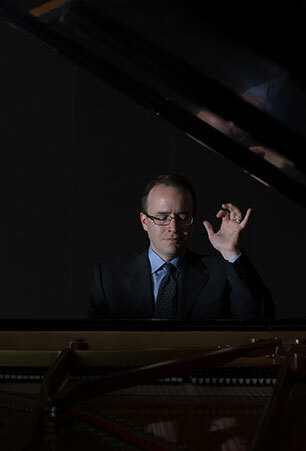 Dr. Riley is Professor and Director of Accompanying and Chamber Music at the University of Oregon and previously worked as a vocal coach at the Manhattan School of Music. He holds degrees from the Cleveland Institute of Music and the Eastman School of Music, studying with Anne Epperson and Jean Barr respectively. I welcome any and all inquiries from qualified persons about the Master of Music and Doctor of Musical Arts degrees in Collaborative Piano here at the University of Oregon. Ninety minutes from the coast, spectacular hiking in truly beautiful and majestic forestland, skiing practically on your doorstep, Eugene is a true gem of the Pacific Northwest. University of Oregon School of Music Graduate assistantships (generous stipend and tuition waiver) are available both in studio accompanying and opera. 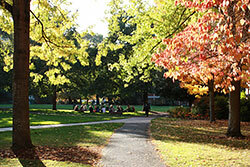 Please feel free to contact me at driley@uoregon.edu.